So here was my sick day. I woke up and worked solid until about 11. 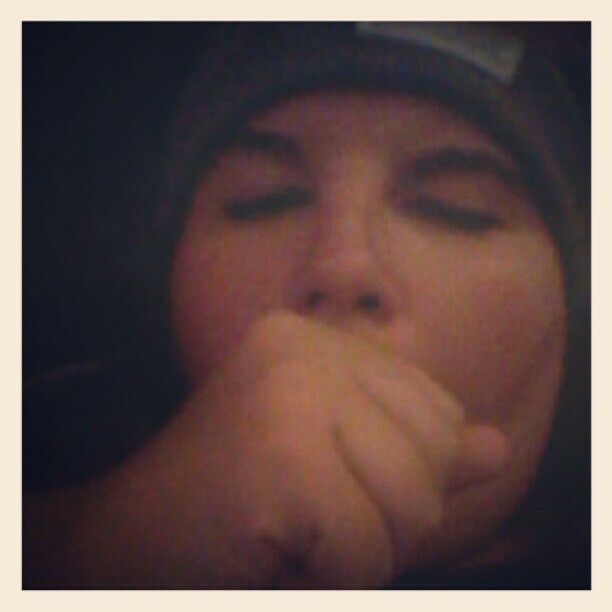 Then I was coughing so much I had to lie down. I took some cold medicine and read my book club book Macbeth by Shakespeare (very enjoyable). I still felt antsy and couldn’t relax. I stopped an answered more emails, all which seemed immediate and I was grateful I had answered them. (That is my greatest problem. I am sure they could wait but in the moment it does not feel like they could). I went to an insomnia specialist on Tuesday and we talked about my anxiety and struggles relaxing. She challenged me to turn off my cell phone for 4 hours. As she was saying it I grew involuntarily tense like she had put a spell on me. I was surprised by the strength of the response. She quickly said in alarm ‘we don’t have to do that right away…’. I want to work on this but not sure how. We’ll see. I will keep chipping away at it. Anyway, I decided to make some soup for sick little old me. It was a lentil soup mix I had that required adding carrots, onions and celery. 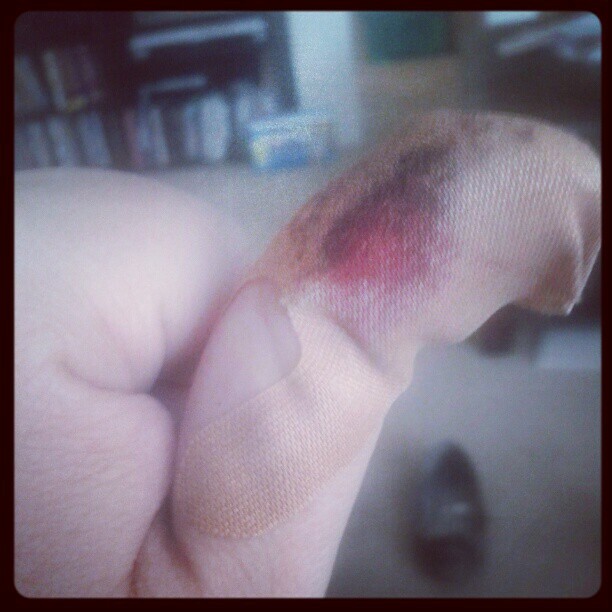 I was chopping the ingredients (I had all 3 from bountiful baskets) and cut my finger badly. I was worried I would pass out when I cut it and my whole arm felt tingly. Luckily it healed up pretty good. So then I tried to rest some more but I felt guilty for not checking the PO Box for Poler so I went out to get the mail. Nothing there. 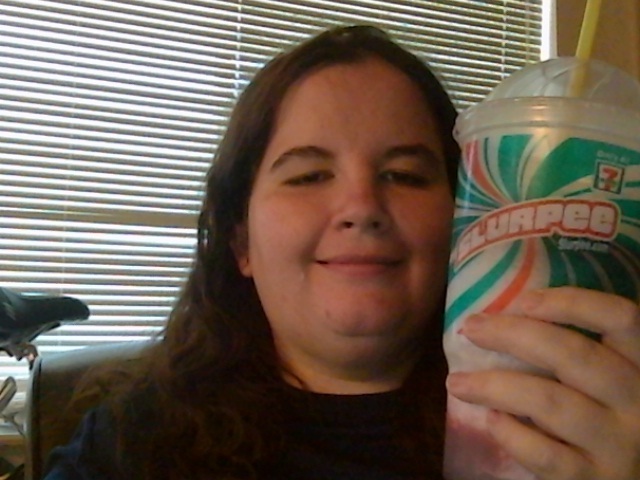 However, I used the chance to go and get my sick tradition- Slurpee (At least some things don’t change!). So now I will try to eat something tonight but I have no appetite when I’m sick. It is the one time I wish I had a roommate. Someone who could get me something tasty and comforting….Sigh. I just hope can recover because there is far too much to do right now. See what I mean. I make a lousy sick person! So there is my sick day. I agree. 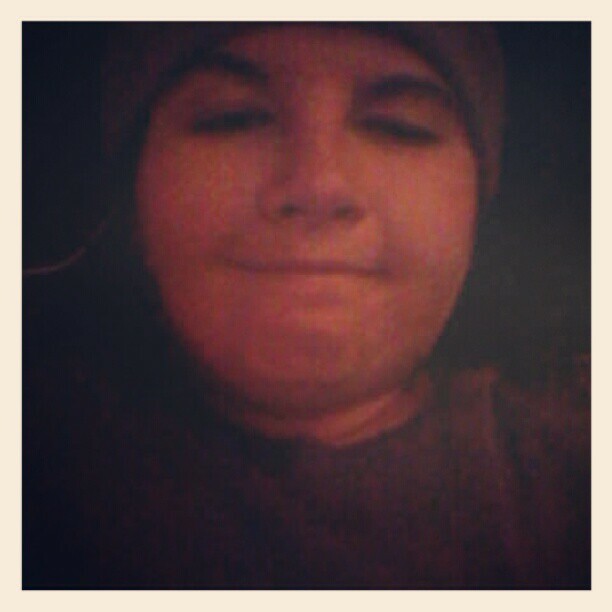 Being sick when you are by yourself is the absolute worst. There is no one to take care of you or bring anything. Hope you feel better soon.